Here is a possible set of resolutions for your home mortgage in 2012 from a Los Angeles Mortgage Broker. Everybody does it, or so it seems. Creating a list of resolutions for the new year is part of our tradition, and probably a very good one. Most of those resolutions are forgotten about soon after the last football game is played and the last bit of pizza devoured. However, here are possible resolutions that won't require 100's of push ups a day or depriving yourself of ice cream. 1. Take a serious look at your overall situation regarding your housing and any mortgage you have now. Home mortgage rates are at historic lows, and very unlikely to either stay this low or go lower. Don't wait until mortgage interest rates have gone back over 5% start wondering if you should have bought property or refinanced. NOW is the time to act. The sooner the better. 2. If you are currently renting, be aware that rents are headed back up. Recent statistics show that some markets have shortages of rental units. Low supply means increasing rents. Housing prices are very, very low right now. While there is still an overhang of supply, it is very likely that housing prices are not going even lower. They may not go up very much in the short term, but this is a great time to buy. Low prices. Low Mortgage Rates. 3. 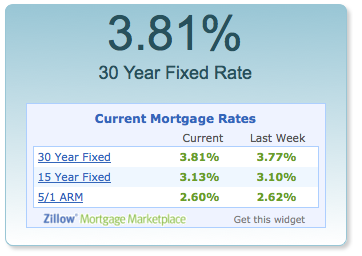 If you have an existing mortgage with an interest rate over 4.5%, or if you have an adjustable rate mortgage, this is a fantastic time to refinance as some 30 year fixed loans are hovering around 4%. 5. If you have been contemplating buying a vacation home, this is the ideal time to act. 6. If you have ever thought of owning homes, duplexes, triplexes, or other multi family dwellings for rental income, the market is prime. 7. Should any of these have even a slight potential to make you money or save you money, pick up the phone and call me. There is absolutely no obligation for my advice and direction regarding any of these issues. Call 310-295-2900 ext. 113 or ask for Bill Rayman.